A.H. Panels was founded by A.H. Spares Ltd in 2003 to establish a professional sheet metal manufacturer that would focus solely on producing high quality precise reproduction body panels for the Austin Healey. Our time served craftsmen are highly skilled in wheeling, welding (tig,mig aluminium) and all aspects of sheet metal fabrication. 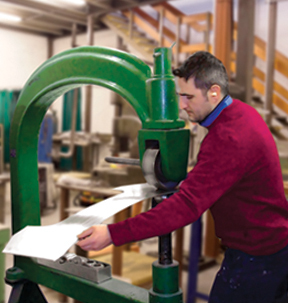 By relying on the old traditional skills but by incorporating the use of the latest technology and equipment we are able to fabricate practically anything to an extremely high level of quality at affordable prices. We only use the highest grade materials and we strive to be able to supply the customer with the metal parts that will satisfy their requirements for quality and fit whether it is a full outer body or a simple bracket. We use the assistance of several internationally acclaimed restorers to help develop our sheet metal products and we are renowned for our world class quality and fit. We also invest heavily in press tooling that will assist us in keeping this reputation. Some examples of recent projects include Front and Rear Shroud sections and new Front Wing press tools. In December 2012 A.H. Panels was relocated to bigger more suitable premises which will allow the company to grow and improve further. The new location is adjoining to A.H. Spares Head office in Southam, Warwickshire. We are able to accommodate requests for one off and bespoke parts. So if you have any individual requirements please feel free to ask us for a quote. 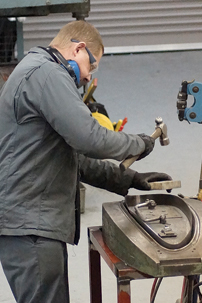 We are also extremely capable of manufacturing small to medium production runs and we currently produce many parts for other companies both within and outside of the automotive sector. In conclusion AH Panels is a sheet metal company where premium quality comes at a competitive price. Crafted by enthusiasts for enthusiasts.